Davis, Vivian Settles, 93, of Louisville died Friday January 18, 2019 at her home. 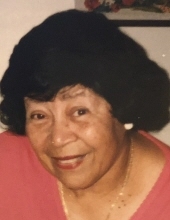 She was a retired teacher for the Jefferson County Public School System, a member of Church Of Our Merciful Saviour, Episcopal Church Women and Jefferson County Teacher’s Association. She is survived by two daughters Donna D. Owsley and Michelle D. Leslie (Gregory); a son Russell L. Davis, Jr. (Kathy); 8 grandchildren and 11 great grandchildren. Her funeral service will be held 12:00 p.m. Thursday January 24, 2019 at Church Of Our Merciful Saviour 473 So.11th Street, with Burial in Zachary Taylor National Cemetery. Visitation will be 10:00 a.m. to 12:00 p.m. Thursday at the church. To send flowers or a remembrance gift to the family of Vivian Settles Davis, please visit our Tribute Store. "Email Address" would like to share the life celebration of Vivian Settles Davis. Click on the "link" to go to share a favorite memory or leave a condolence message for the family.